Parked east of trig at about NT595153, up via track, a sheep pasture, and then freestyle for the last bit up steep moorland. Wonderful views across Border Country on a clear sub-zero day. 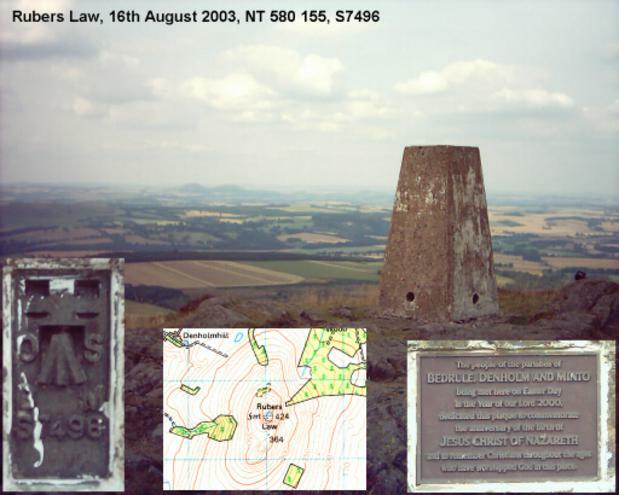 The top is ringed by two banks; the outer one is probably the defences of an Iron Age hillfort, the inner one is probably a later fort as it is said to include Roman stonework, maybe the rubble from a destroyed Roman signal station on the summit. See https://hillforts.arch.ox.ac.uk. 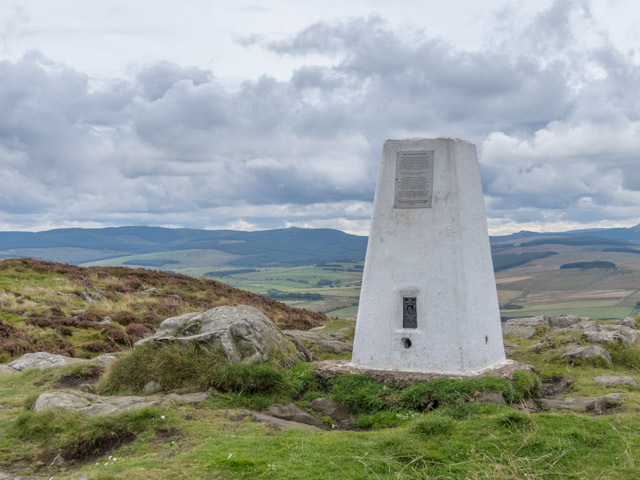 ....off on our travels again, staying just outside Kirk Yethom, great to be up in this wonderful area again, this hill seems visible from everywhere, fast becoming as we go wandering in the Cheviots later in the week, dramatic rain shower coming in from the north. 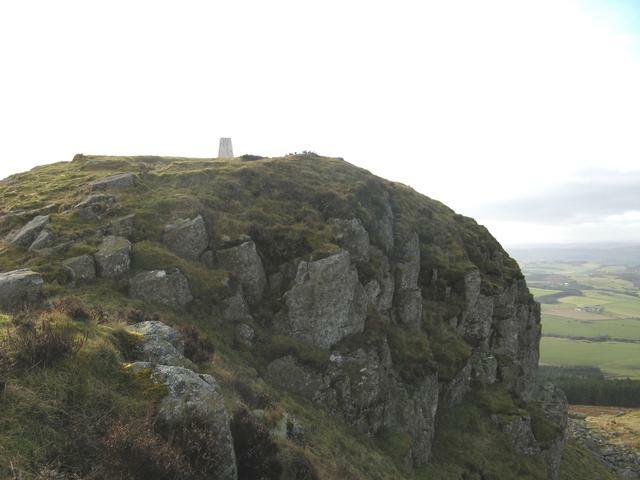 Walked up from Denholm via the disused quarry NNW of pillar. A decent toposcope hides the spider. 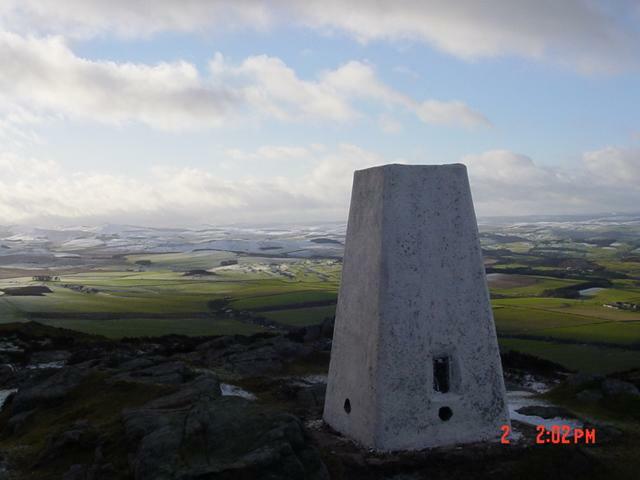 Good views generally, but especially of the Cheviots and Carter Bar hills. 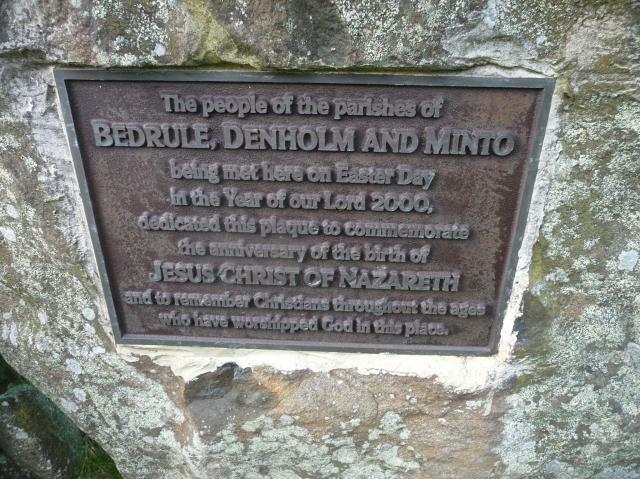 A very enjoyable circular walk up from Denholm. 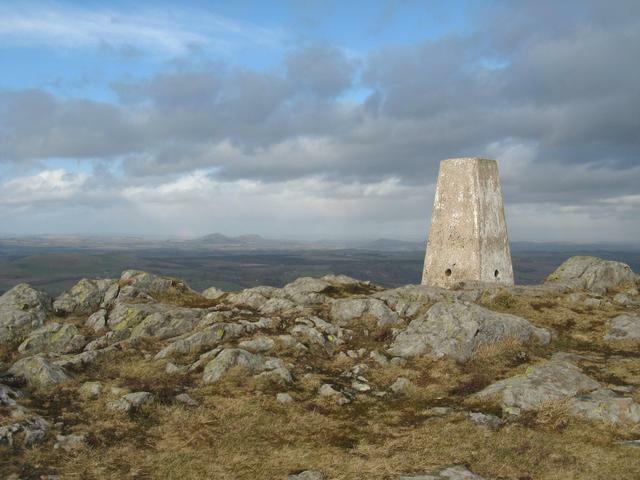 Nice and easy climb up to the summit and gorgeous views from the top. 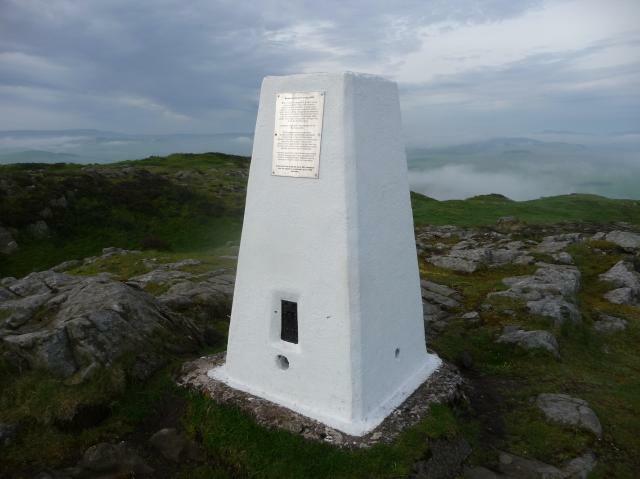 Lovely well maintained trig complete with Borders Exploration Group plaques. 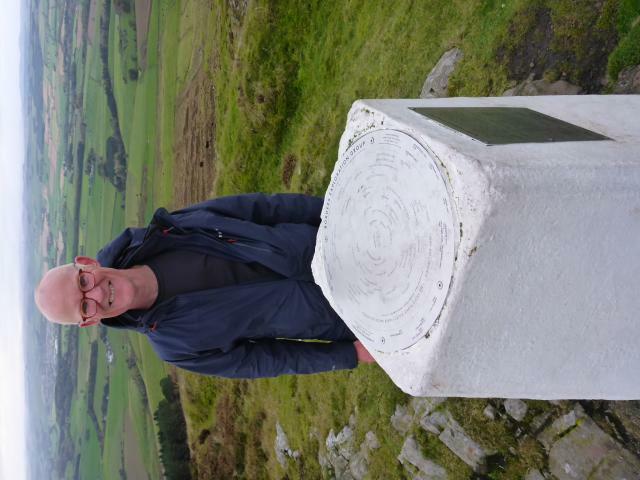 Walked up marked track from near Hallrule. Managed to get car parked so it wasn't blocking the gateway or track but might be more difficult at harvest time. Three mile round trip. Good all round views but a bit hazy today and windy. Parked on the minor road south of Denholm on their festival day (had to dodge lots of horses and drunks). 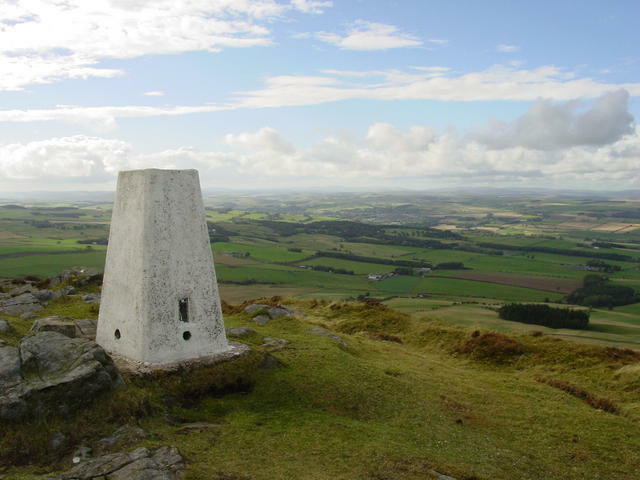 Follow the path for Denholm Hill then a bit of planning to avoid fields with crops and cattle. Shame that the spider plate has been covered over when perhaps a separate observation pillar would have been better. 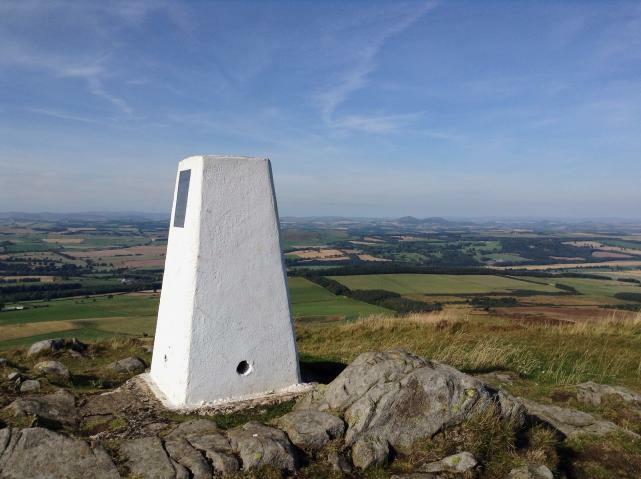 Local landmark seen from all over the borders with great views. So windy I had to be held down at the top. Parked on minor road at NT56771 17259 then followed footpath, gates and fields to access summit path. 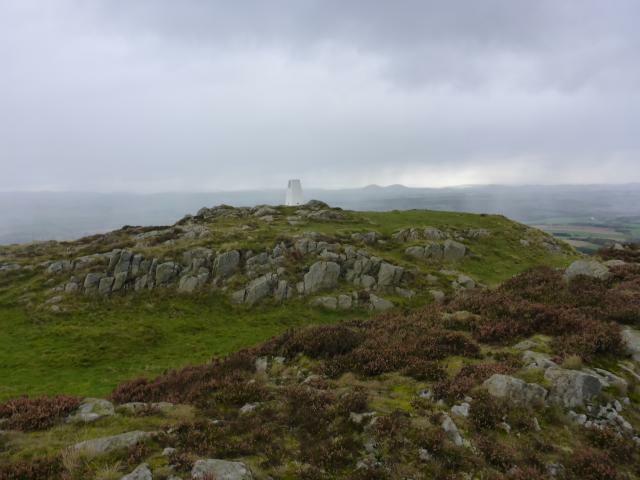 Great little hill on grey windy morning with occasional rain. Struggled up from Borders Abbeys way (from near Spital Tower) and arrived at top to find thunderstorm on the other side - left very quickly! 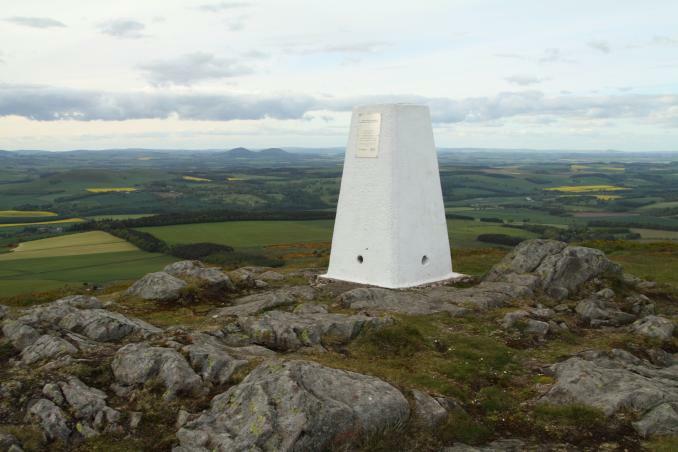 Walked up from Denholm.Excellent all round views. Ascent from the E. Upper part of Gilboa Wood lovely old Scots pine trees. Fine viewpoint. 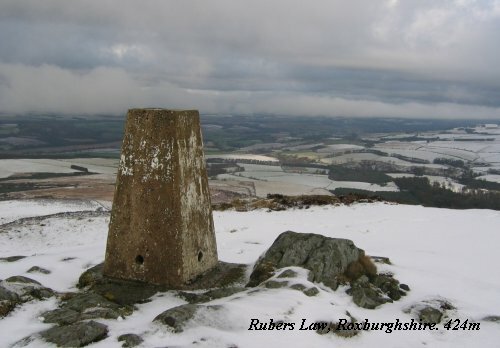 Rubers Law TP stands above a little cliff. 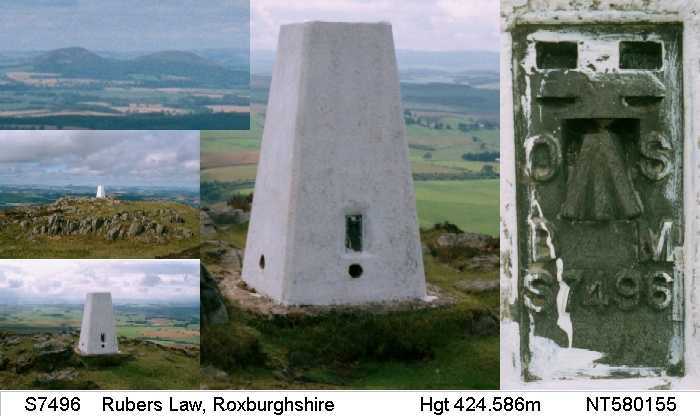 Rubers Law Plaque near summit. vgc, no cap or plug, fine grass and rock summit, in mist. 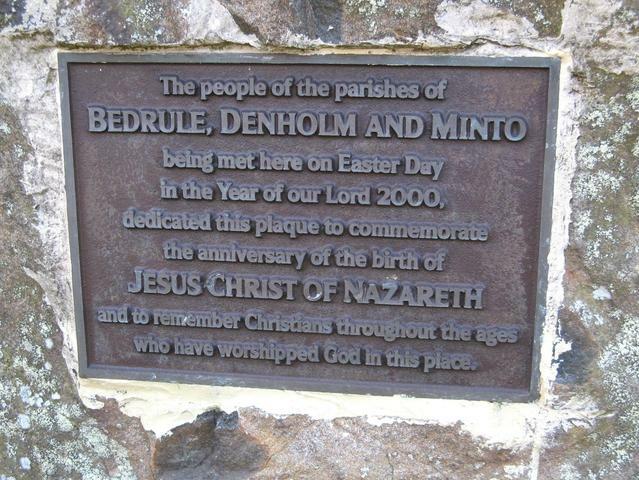 Year 2000 plaque on nearby rock. 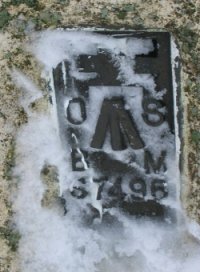 From E, pasture, route via gates; apparently waymarked path from SE nr Hallrule. Walked up track from NT593142, then becomes sheep pasture and heather. 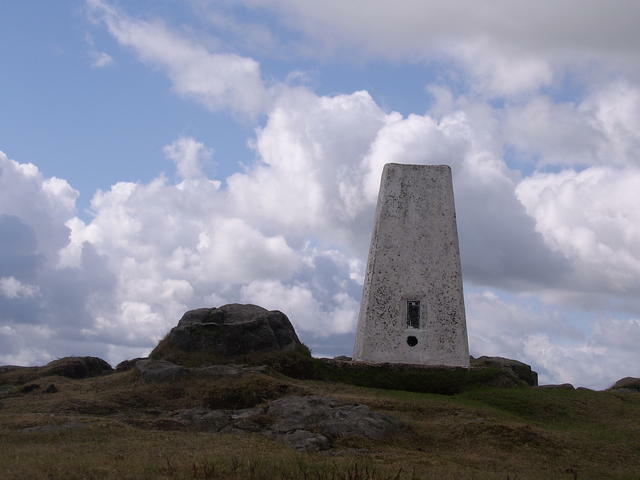 Top of hill is a rocky outcrop that looks impressive from a distance. Good views. 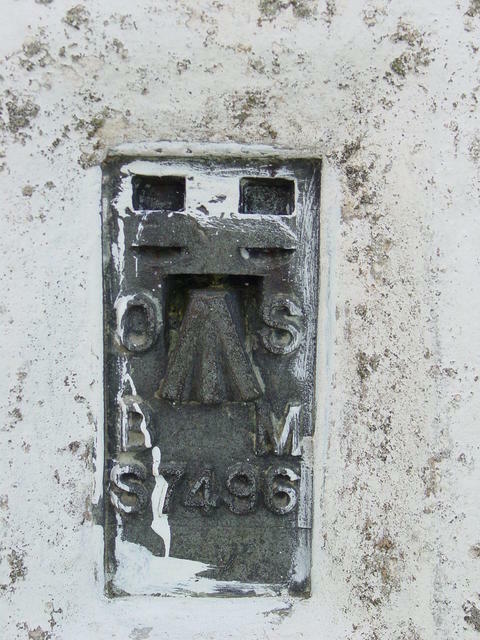 Pillar has some white paint remaining but plug is missing, hole unfilled. I visited this on the morning of my wedding, and to my surprise I discovered two naked women at the top! (Needless to say, they weren't British.) A bizarre experience... and it was fun watching them rushing to put their clothes back on when a family arrived, with young children in tow, a little later! P.S. The wedding took place at nearby Dryburgh abbey, which I can recommend. Wonderful views from here! 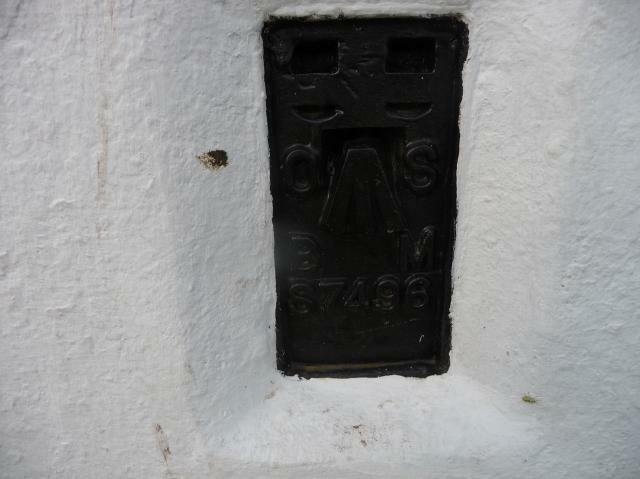 Plug missing but otherwise pillar fine! Very white still! All sightholes open [you can see daylight in both directions]. Excellent all round views. Great spot! Wonderful views from here! Plug missing but otherwise pillar fine! Very white still! All sightholes open [you can see daylight in both directions]. Excellent all round views. Great spot! 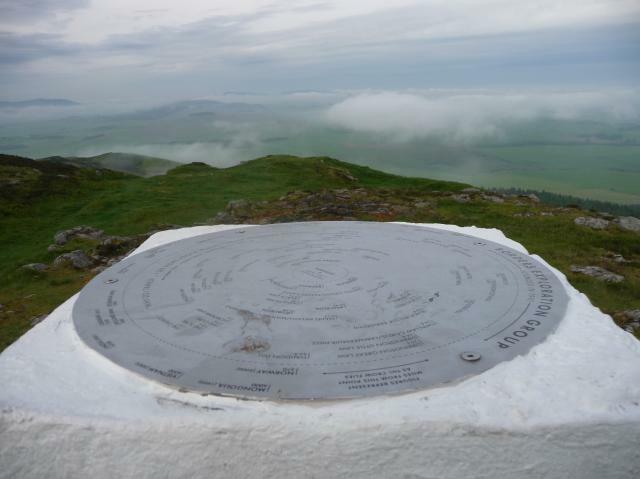 About 15 metres SSE, in the cleft of the hill summits, there is a memorial plaque celebrating 2000 years of religious worship there. Bagged whilst walking Borders Abbeys Way between Hawick and Jedburgh. This was a diversion off the route. 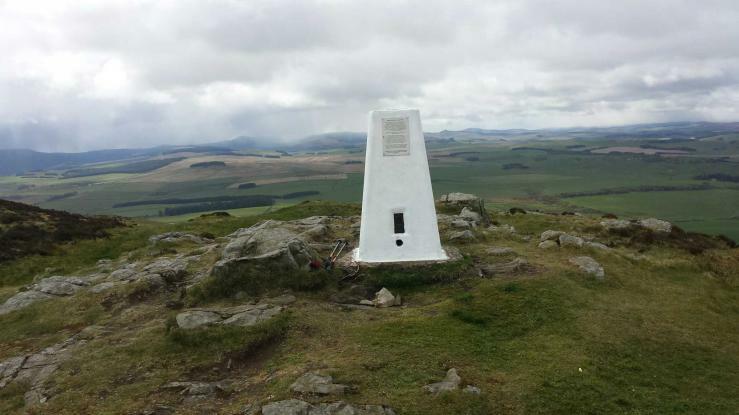 No recognised route to summit but probably the best way is to leave your car at NT596175 and follow Borders Abbeys Waymarkers to NT589173 (waymarker). Walk SSW across field to a gate just to the right of the forest then ascend up across rough ground towards the rounded hill to the right of Rubers Law (this avoids the worse of the long grass/bracken). On almost reaching the summit of this rounded hill, bear left alongside wall to a point where three walls meet. There is a gate here. Go through it and continue along the opposite side of the wall for 100metres then veer right to a grassy col. Several sheep paths lead to the craggy summit. The view will be worth the effort. Total time for ascent from road around 50 minutes. Excellent views from the top in all directions. Pillar in excellent condition and sporting a new coat of paint since RJWs visit of 17/01/2004. Spider plug missing and centre hole being filled with debris. Flush bracket faces NNE. All four sighting holes open. 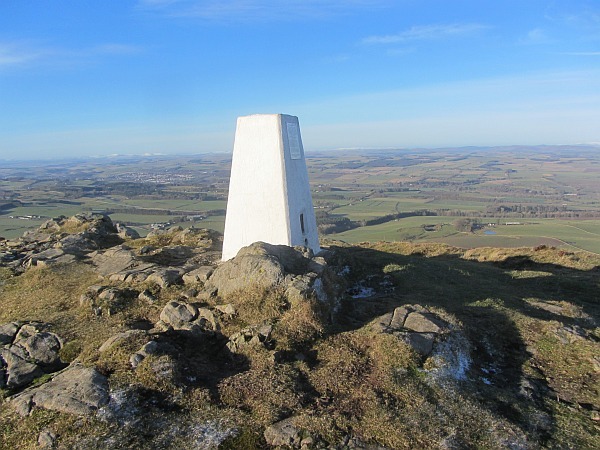 Views include Dunrig, Three Brethren, Greenhill, Minto Hill, Eildon Mid Hill, Black Hill NT72, Dirrington Great Law, Peniel Heugh, Cheviot, Philip Law, Carter Bar, Southdean Law, Fanna Hill, Pike Fell, Greatmoor Hill, Tudhope Hill, Penchrise Pen, Skelfhill Pen, Hummelknows. Originally visited 1/07/1990, revisited and photographed 4/09/2004, GRP. 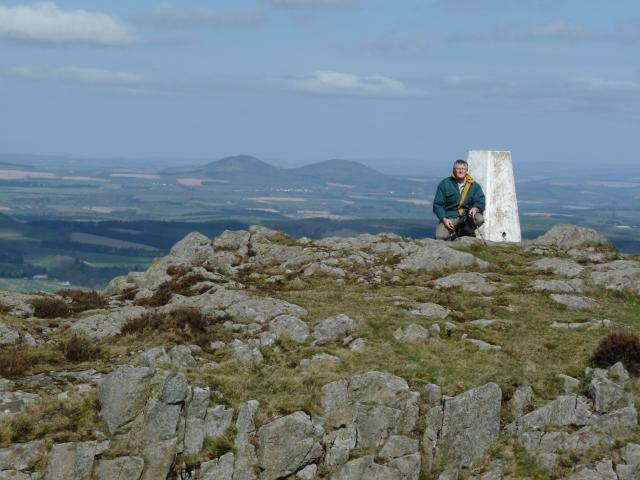 Striking igneous hill just north of the Cheviots. 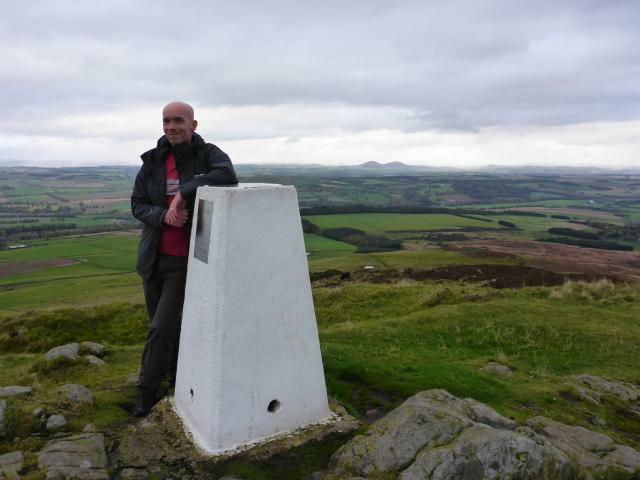 Very fine viewpoint, and a lovely walk up, despite the wet snow. 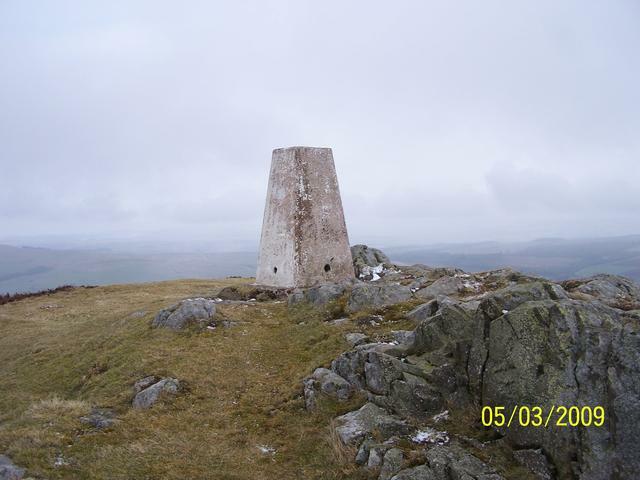 Trig in good condition except for missing plug. 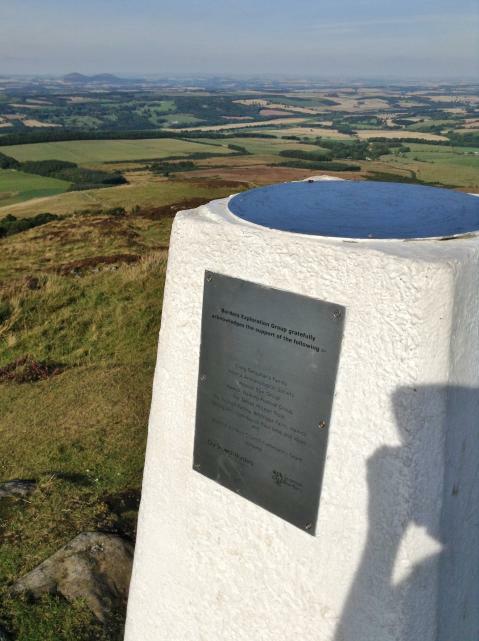 Excellent 360 degree views from this Roman signal station. 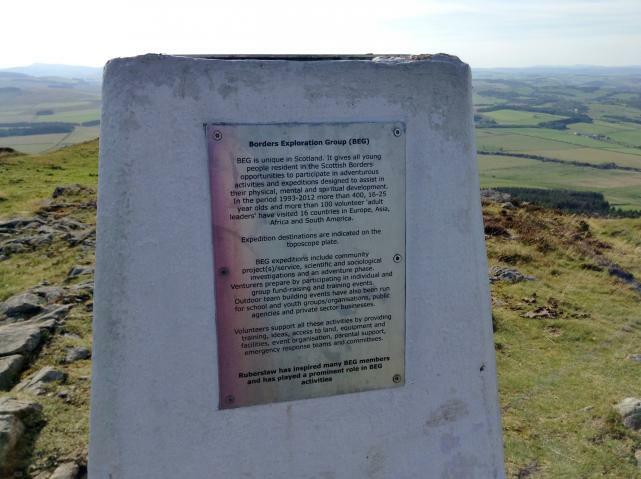 Religious plaque affixed to rock near trig point (see photo). First visit. To record FB number. 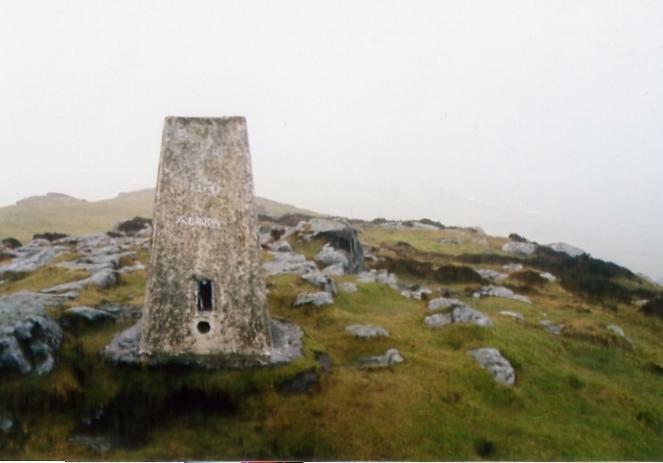 The pillar was completed 2nd August 1953 costing �38.17s.0d. 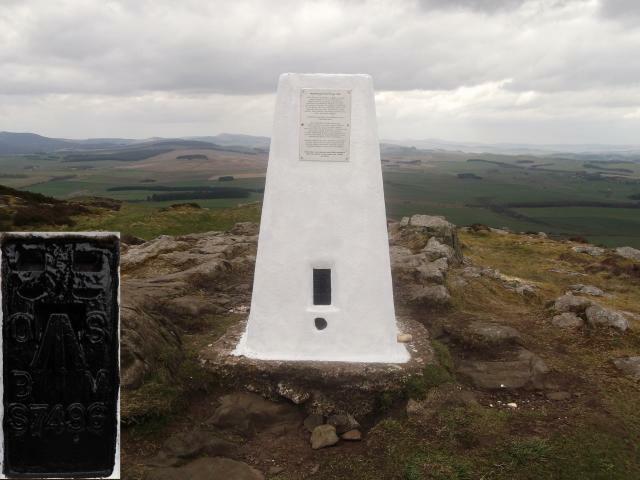 In 1957 this marker was computed for triangulation as tertiary station NT72/T85 in the Jedburgh secondary block. 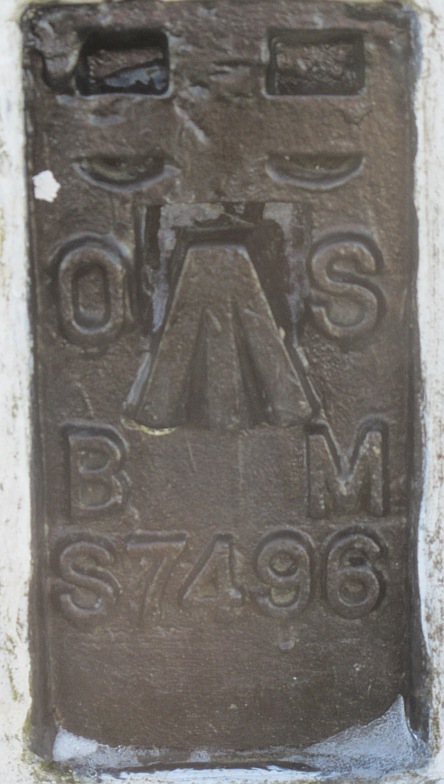 Flush bracket S7496 was levelled for height in 1958. 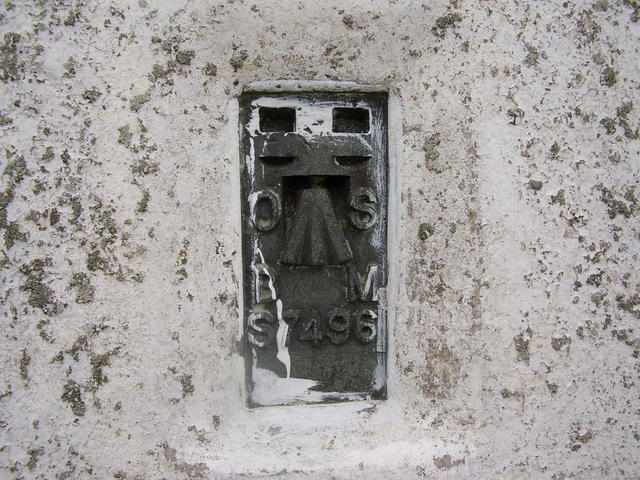 This trig point was last maintained by the OS in October 1986. Good views all round.